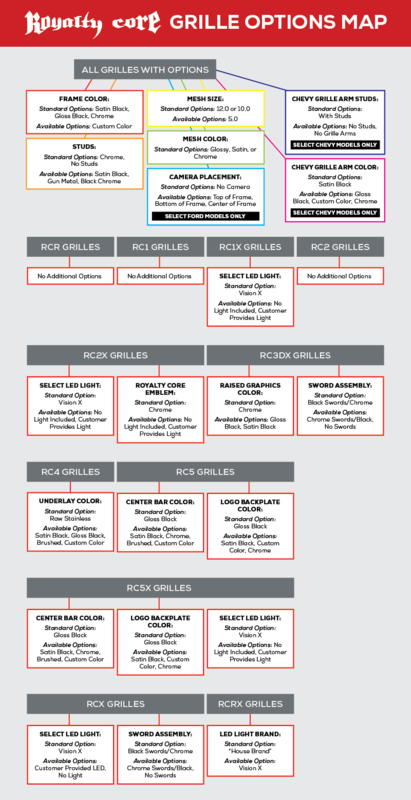 Wondering what options you have for your Royalty Core grille? Check out the options map below. As you can see, we offer customization options for just about every part of your grille. Whether you want a satin black surround and matte black mesh or a premium LED light bar and chrome grille studs, we can make the grille the ideal complement to your truck.